Chloroplast development is usually regarded as proceeding from proplastids. However, direct or indirect conversion pathways have been described in the literature, the latter involving the etioplast or the etio-chloroplast stages. Etioplasts are characterized by the absence of chlorophylls (Chl-s) and the presence of a unique inner membrane network, the prolamellar body (PLB), whereas etio-chloroplasts contain Chl-s and small PLBs interconnected with chloroplast thylakoids. As etioplast development requires growth in darkness for several days, this stage is generally regarded as a nonnatural pathway of chloroplast development occurring only under laboratory conditions. 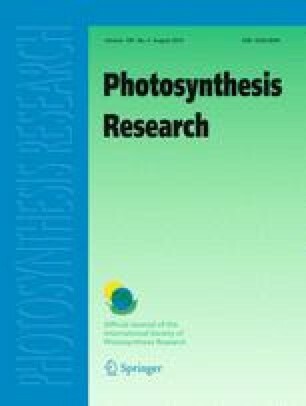 In this article, we have reviewed the data in favor of the involvement of etioplasts and etio-chloroplasts as intermediary stage(s) in chloroplast formation under natural conditions, the molecular aspects of PLB formation and we propose a dynamic model for its regulation. The authors apologize in advance to all investigators whose contributions in this field could not be directly cited owing to space limitations. K. Solymosi thanks Prof. Béla Böddi (Eötvös University, Budapest, Hungary) for encouraging and supporting her work and the University of Burgundy for the temporary invitation as assistant lecturer. The authors also thank the anonymous reviewers for their helpful and constructive comments and corrections.